Firemen in Utah County are battling with two wildfires. As of yesterday morning, the Pole Creak fire has consumed almost 7500 acres of land and Bald Mountain lost 1500 acres to its blaze. As a result, thousands of people evacuated the area and are awaiting the chance to return. Firemen have partially contained the wildfires; 25% at Pole Creak and 14% at Bald Mountain. At the time of writing, no homes have been destroyed. While that’s good news, the fires are likely to cause considerable smoke damage to the homes nearby. This will leave many residents with a bad mess to clean up when they return. 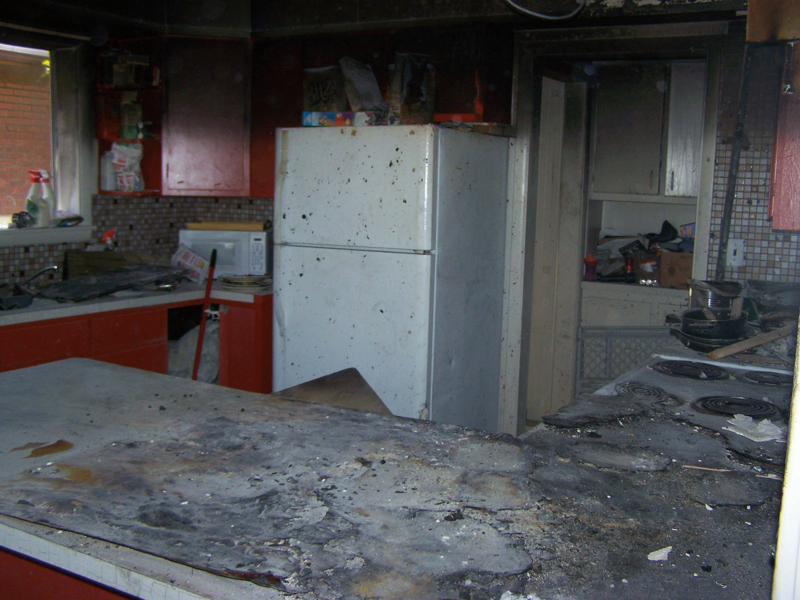 Smoke damage is caused primarily because of the ionization of particles in the smoke. Ionization gives smoke particles an electrical charge, which attracts them to surfaces. Certain surfaces are more likely to attract them. Metal objects will create a magnetic attraction, causing smoke to cluster around them. While drywall might hide metal nails, they still have enough of power to draw smoke to the wall, causing it to form rings around the nail. Furnishings made of synthetic fibers also tend to have a stronger attraction to smoke particles. Because of the way hot air interacts with cold air, smoke can get into places you wouldn’t normally expect it to. Seemingly enclosed spaces have greater smoke damage than open spaces, and because it naturally moves toward cooler areas, it has a tendency to get behind drapes and blinds. It will follow ventilation systems, leaving residue that your vents will spread to the rest of the house if not cleaned up. And because smoke is so light, it can easily carried by the wind, even if the fire never gets close to your home. Even if you’ve taken all the proper precautions, there’s still the possibility that the smoke will get on, or into your home. So what can you do about it? 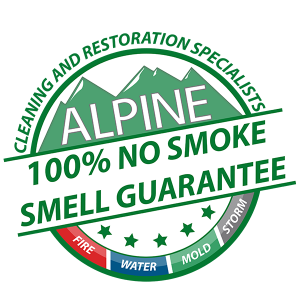 The Fire Restoration team at Alpine Cleaning and Restoration are experts at cleaning up smoke damage. With more than 25 years of experience, we know all the tricks. 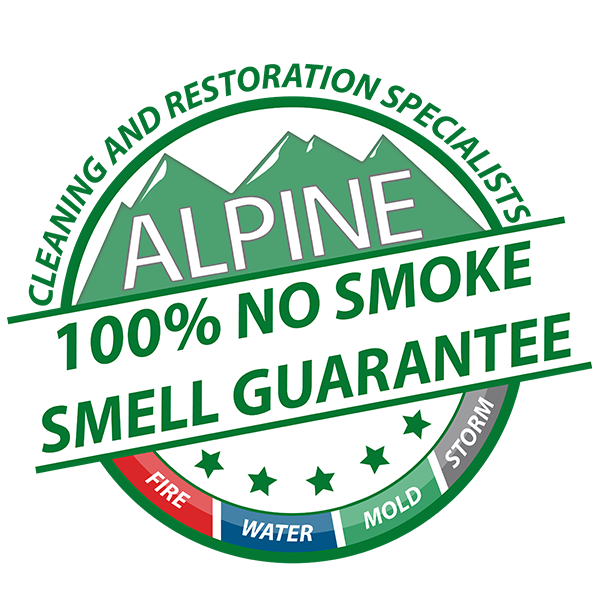 We use hydroxyl generators to completely remove all traces of the smell of smoke. This process is completely non-toxic, allowing you and your family to still live in the home while we clean it up. We also use an ozone chamber to remove the smoke residue from objects in your house. By the time we’re done, you won’t be able to even tell that there was a fire. That’s our 100% guarantee! At the time of writing, the fire is still ongoing in Utah County. Firefighters are doing their best to contain them and we appreciate all their effort. Please stay safe. Do not return to your homes until you’ve been given the all clear. 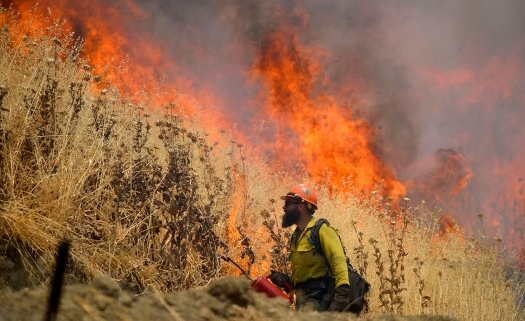 Hopefully the fires won’t seriously damage any homes, but if they do, we’re here to help. Whether it’s fixing damage from the flames, or the smoke, we can help you get back on your feet quickly. 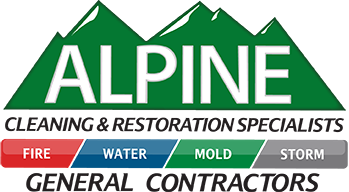 Give us a call at 1-855-4-ALPINE, or use our handy contact form. Get in touch as soon as you’re ready. We’ll fix your home up right away. Have you recently been the victim of a disaster? Was it a Flood? A Fire? Hit by a storm? Did Adrien borrow your leaf blower again? We totally understand how that is. Disasters can strike at any moment. They’re hard to prepare for and costly to fix. Insurance helps, but it still takes time for things to get back to normal. While we don’t want to make light of your situation, we just want to provide a little perspective. Whatever it is, it could be worse. A few years ago, the dam at Lake Delton burst when flood waters eroded its foundations. Hundreds of homes were washed away. Some were completely destroyed, ripped in half as the lake shore collapsed beneath them. You don’t need a dam-break to destroy your home, though. Sometimes, all it takes is a falling tree, as this report shows. Nature is always the bigger beast. When we get in the way, it will steamroll us. Feel free to relax. A disaster of this magnitude is uncommon. While there are plenty of disasters that can happen anywhere, they’re unlikely to do this level of damage to your home. With a bit of common sense and a good insurance policy, you can avoid the complete loss of your home. Should the worst actually happen, know that you’re not alone. Alpine Cleaning and Restoration has a disaster response team on call 24/7 to help you recover. Whether it’s fire, flood, or storm, please give us a call. In emergencies, we promise to get there within 60 minutes of your call. We’ll get you back on your feet as soon as possible, saving you time, money and stress. Get in touch and find out how we can help you today! https://www.alpinecleaning.com/wp-content/uploads/2016/04/Storm-Damage-Fallen-Tree-Crushed-House-Lightning.png 563 1500 Bart Caley https://www.alpinecleaning.com/wp-content/uploads/2016/04/Alpine-Cleaning-Restoration-General-Contractors_349px.png Bart Caley2013-08-06 17:31:122018-12-04 12:30:04Disaster Strikes!